As we’ve discussed time and time again, the customer is king. It’s a mantra the retail world has always sworn by. Yet, a new strategy is emerging amongst forward-thinking retail players - one that puts the staff at the centre of the business. Against a backdrop of increasing online sales, the unique experience of shopping in-store is being recognised by businesses as they push to go further in delighting customers in brick and mortar stores. No algorithm can replace the magic of the in-store experience and face-to-face interactions. No matter the convenience of shopping on a mobile or laptop, consumers will always seek out brick and mortar stores. If customers are visiting stores for the pleasure of their service, showcasing service is as important as the product. The meaningful, emotional connection that consumer’s strike with a particular brand is spearheaded by the staff. They build the store’s reputation and bring the brand journey to life. Staff are a business’s biggest expense but their biggest source of energy. Instilling frontline workers with a boardroom vision of what customer experience should look like never translates. It’s important to assess how engaged your employees are with your brand. If they feel passionate about the business, this will be visible to customers. Ultimately, happy staff means happy customers. 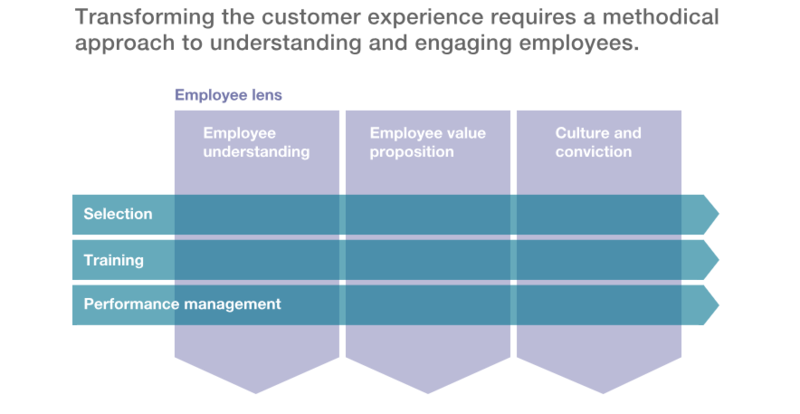 With this in mind, it’s important to imagine the customer journey through the lens of the staff. Highlight the key moments where customers interact with staff and understand how can you improve those interactions. Look at ways in which you can make your staff feel valued and having input in the business. At this year’s Retail Design Expo, we heard an interesting example from EE where they put this strategy into action. 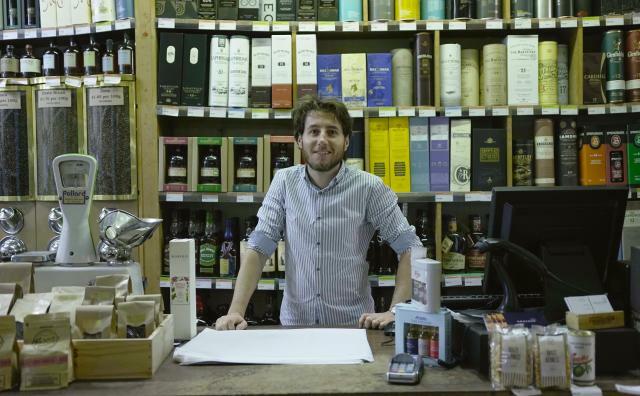 They began by attempting to understand their staff by reenacting their roles - stocking the shop floor, answering customer queries and putting through transactions. 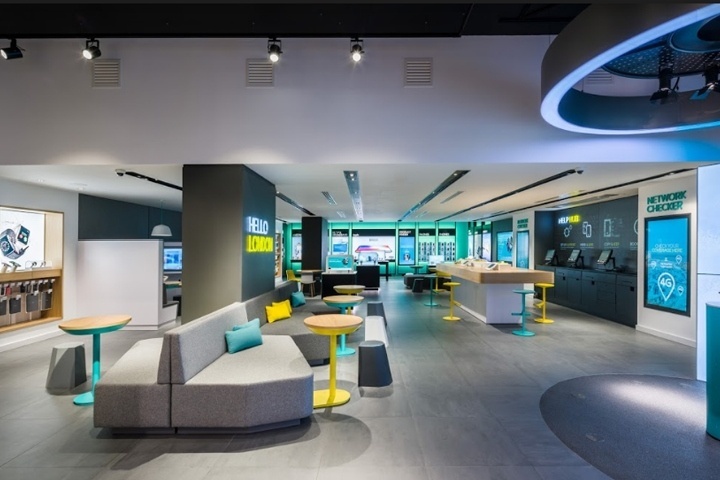 One of the key takeaways from EE’s experience was how the store was designed in such a way as to put in barriers between the customer and the staff. The ‘Service Desk’ was an aspect of the store that embodied the type of change they wanted to enact. ‘Remove the service desk and service becomes ubiquitous’ said Ian Johnston, the Founder and Creative Director, QUININE. They crafted the inspiring staff journey through a total overhaul of their in-store design. They designed an open and intuitive space where staff and customers can exist side by side. They designed opportunities for staff and customer interactions with layered seating and private areas. One of the most empowering aspects of this store design for the staff was the ability for the staff member to take the customer to the right seating fixture for the context of their conversation, therefore personalising the experience. These newly designed stores are on set for target value and volumes as new stores and the second phase of development has been approved. EE’s example outlines the ways this employee first strategy can be implemented in a store’s design, but there a multitude of ways to start empowering your frontline workers. Listening to your employees and understanding how you can offer them a more valuable staff journey is key. Companies that are experiencing high attrition rates, low productivity or poor customer service are likely not providing their employees with the resources they need to excel and delight the customer. Instil them with purpose, not rules.